The meeting scheduled on 1/17/18 has been cancelled. 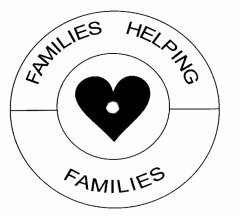 Families Helping Families is an organization providing support for families with a member in the early stages of recovery for drug or alcohol addiction. Co-sponsored by Clearbrook Foundation. For Grades 7 – Adult. Guest speakers and partners including community leaders like Dr. Mike Mahon, Superintendent of Abington Schools; Dr. A. C. Patel; Lackawanna County Court Judge Michael Barrasse, and U.S. 3rd Circuit Judge Thomas Vanaskie. A proactive and cooperative effort with community leaders to keep our families safe and healthy. Any questions? Call Gary Davis @ 570.878.2595 Confidential.